Flip Flop Vector: A lil bit of Minnesota, some randomness, alot of heat! A lil bit of Minnesota, some randomness, alot of heat! The week in MinneHota is coming to a conclusion. In Summer 2010, there were no days above 90 in this part of Minnesota. Fast forward 2 years, 15 days above it and we are only mid-July, not to mention this is by far the most humid area of our adventure. You know it is muggy when you are drinking your a.m. coffee and there are sweat particles building up in the concealed regions. Plus, back by popular demand, more interesting, unique sightings from our my twisted view of the RV lifestyle. You probably know you are in a small town when all you qualify for is a single wind turbine popping out of a cornfield--Welcome, MN., population: 686. Lanesboro, Minnesota where we spent the past week—population 786. A “chopper-hopper” town, akin to a Golden, CO., Fredericksburg, TX, Williams, AZ., etc—a place where all the weekend motorcycle riders venture to on Sundays, saw 16 bikes parked in front of the local burger eatery on Sunday. Now, the weekdays, much different story, ghost-townish--more like Lamesboro. Teri in front of the falls of Lanesboro, a bit more of a roar than Sioux Falls. She was all decked out in her high-viz “bear on the trail please eat the big dude in front of me” green tank top for our 12 mile bike ride. No bears, but did have to yield to a snake, squirrel and a sizable doe on the trek into town-center. The Root River Trail is probably the most well known ride in all of Minnesota as it encompasses 60 miles of pavement and connects you with 6 different towns. Heh—At the same campus, “Lanesboro Child Care Center” and “Lanesboro High School” sign on the left (brick)—that’s one creative way to solve the teen student pregnancy dilemma. And transitioning to other sightings over the past week. In keeping with the theme of our blog--disgusting--I would say that fly trap works well! Of course it is merely an attractant that lures them in, then they die by malnutrition. This of course begs the question--do flies cannibalize? When I snapped the photo, the new victims of entrapment were still buzzing. A short time later, the owner exited the rig and took the container down to the dumpster. I swear I heard the top layer of survivors chanting in unison "We are home, we are home!" "Hey Mildred, how about if we just set up our two wi-fi network boxes side-by-side in the screen window, ya think that will cover the 5 acre campground". Yes, I was a bit perplexed when I inquired with the campground owner as to the location of his network antennas as we repeatedly had low signal strength and connectivity issues from a 100 feet away. He pointed at the window and with all the indifference he could muster up and said "right there". And his face read "deal with it, goofball". "Hey, let's set a 1 ton boulder six inches away from where the 40 foot rigs turn to exit the campground". I am not a conspiracy theorist by nature, but I am starting to lean that some campground owners are in cahoot with the local RV repair shop. An RV'er once commented, "Your goal in rig maintenance should be to have 80% of your items functioning correctly 100% of the time". No truer words. Out: Quilt. In: Truck windshield shades. 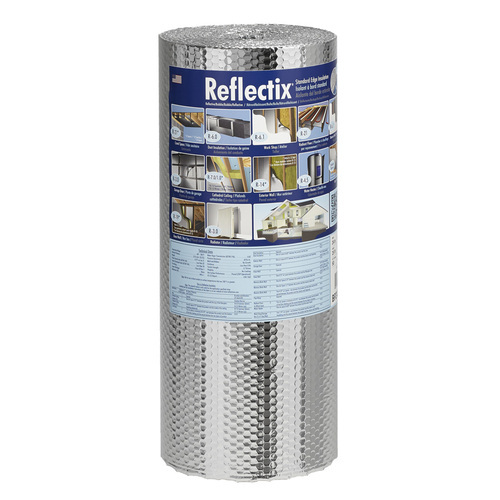 Next, Reflectix, cut to size, when we trip over the next Home Depot town. Moving on up. Day 105! Hey, one degree of temperature for every day traveled. Off to Wisconsin for a week on Friday morning where our oldest will be motoring up from Denver to meet up at the world’s largest air show in Oshkosh. The forecast there calls for: "Melted cheese". The “We Have an All Time High Temperature for This Date In History” tour continues, thanks for stopping by. Thanks for our afternoon chuckle!! I hope Jerry and I (especially I) can find the humor in our soon to be adventures. Leaving AZ one week from today! Yup, and we will be near Elkhart, IN. about the same time as you guys arrive to pick up your wheel estate! Just found your blog on RV.Net. Laughed all the way through your post! Love your sense of humor. Glad that neither you nor your wife were eaten by bears. We live in a campground in Mankato MN,stop by if you get a chance.There are only 12 sites here and very quiet.